Represented a number of employers and employees in connection with non-compete agreements and obtaining and opposing injunctive relief claims. Representing officers and directors in shareholder derivative suits. Defended a number of companies in connection with alleged violations of Section 43(a) of the Lanham Act. Representative experience defending a financial services client in a nationwide class action alleging violation of federal securities laws, including TARP, fraudulent financial reporting. Defended numerous bank trust departments against allegations of breach of fiduciary duty. Represented financial institutions in conjunction with state and federal securities laws related to allegations of mismanagement. Vic is chair of the firm's Commercial Litigation Practice Group. His practice focuses on commercial, securities, and complex business litigation, industry disputes, and arbitration. 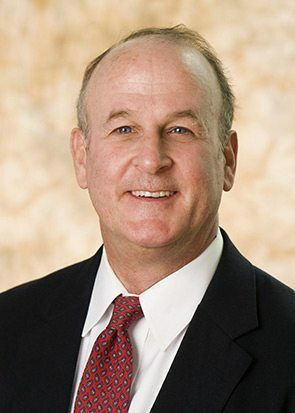 Vic’s experience includes defending financial services clients against class actions, breach of fiduciary duty and derivative claims, and representing institutions and directors and officers in matters related to breach of trust, shareholder disagreements, injunctive relief actions and non-compete agreements. Additionally, Vic frequently conducts broker-dealer training sessions focused on best practices, red flag identification and claims avoidance. Vic has practiced in numerous state and federal courts throughout the United States. Vic serves as an arbitrator for the Financial Industry Regulatory Authority (FINRA), a consolidation of the New York Stock Exchange’s (NYSE) enforcement arm and the National Association of Securities Dealers (NASD), and he has arbitrated all types of shareholder, intra-industry and customer disputes. He also serves as a mediator for civil cases. Vic utilizes his extensive litigation, arbitration and mediation experience to conduct tailored training sessions for industry personnel. Vic has given several presentations on internet use and research for attorneys and legal staff and regularly speaks to financial institutions and securities firms on a variety of current topics. Additionally, he has been quoted in numerous publications and recently was the focus of “Friends’ Christmas Card Keeps on Coming,” an article in theTuscaloosa News that highlighted a friendship and its special tradition that has lasted decades.